The fischer group of companies is intensifying its activities in the area of ​​innovative and energy-efficient construction. For this purpose, the fastening specialist has taken over the BWM Dübel and Monta-getechnik GmbH from Leinfelden-Echterdingen near Stuttgart to 100 percent. Thus, fischer complements its broad range of innovative fastening solutions with substructure systems for safe and sustainable facades. Even before the takeover, both companies worked closely together. The large range of innovative fischer fastening systems has for years also included dowels for secure facade attachment. With the takeover of BWM, fischer now offers its customers system solutions for the modern “building envelope”. Included are substructure systems for pre-suspended, ventilated facades, which combine thermal insulation with state-of-the-art energy standards with functionality and freedom of design. BWM stands for innovation with more than 80 patents and sets a high technical standard for facade substructure systems with more than 400 products. Thanks to its inventiveness, the brand fits very well with fischer. The group of companies, too, is constantly setting new trends on the market with its products and services. 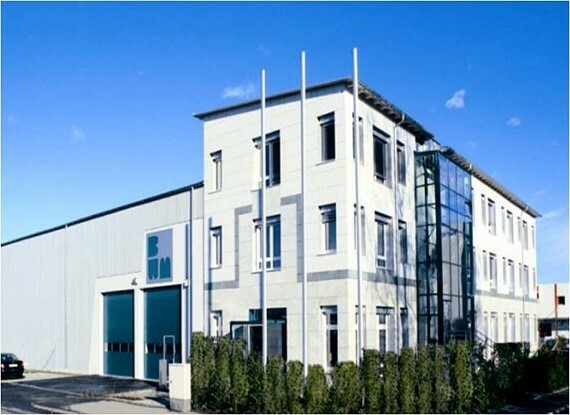 Seat of BWM Fassadensysteme GmbH in Leinfelden-Echterdingen.